No doubt, given that the pregnant woman was raped, sodomized and had her throat slashed, she suffered, but that doesn’t make this right, either. Generally speaking, how is it that we’re still putting people to death in the United States in 2014? 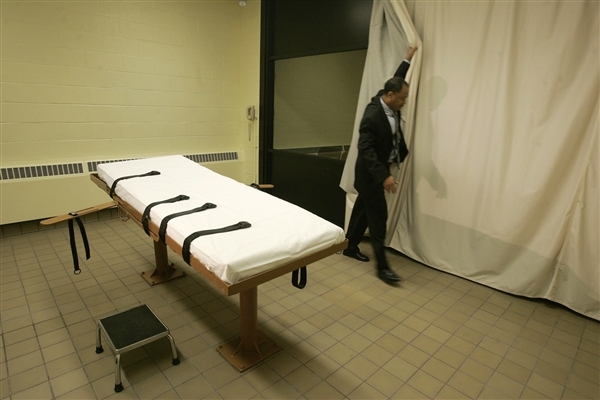 We know there are innocent people on death row. We hear story after story of exoneration. (Of course, those exonerated are usually never adequately compensated nor are the prosecutors that sent them their punished — a large problem, if you ask me). Even if we could somehow perfect the process wherein we know absolutely that the person on death row is meant to be on death row, I would still oppose the death penalty on moral grounds and legal grounds. I do not believe the United States government ought to have the authority to systematically kill an individual. Morally, it’s obviously problematic. The death penalty seems unimaginably archaic to a modern, civilized society, yet it’s one of those things still occurring and in some states (mostly Southern) quite frequently.